My last blog I spoke about the importance of setting goals and the amazing effects it can have on your life. Almost as important is motivation. You need as much motivation as you can get. 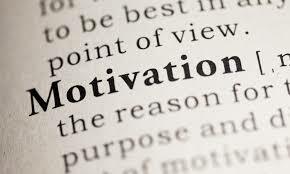 Personally I pour motivation into my mind all day. First thing in the morning I read famous quotes. I have motivational cds that I listen to when I drive and I work out. I also read books and watch motivational movies. I’m sure some of you are thinking I’m a little crazy! Let’s face it some of our goals are difficult and take quite some time to accomplish. Without daily motivation we might not get there. Take time out of your day everyday to fill yourself with motivation. And remember that motivation runs out fast so always keep some around to get where you need to go.